We have received a press release about some new Marvel Prop Replicas coming from eFX Inc. Read the press release below and lick the thumbnail for a much larger image. 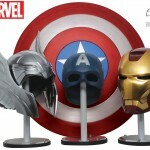 BURBANK, Calif.–(BUSINESS WIRE)–After making full-scale prop replicas and collectibles for some of the most iconic science-fiction, fantasy and action franchises of all time, eFX Inc. announced today that it will unveil an all-new line based on film and comics characters in the Marvel Universe. 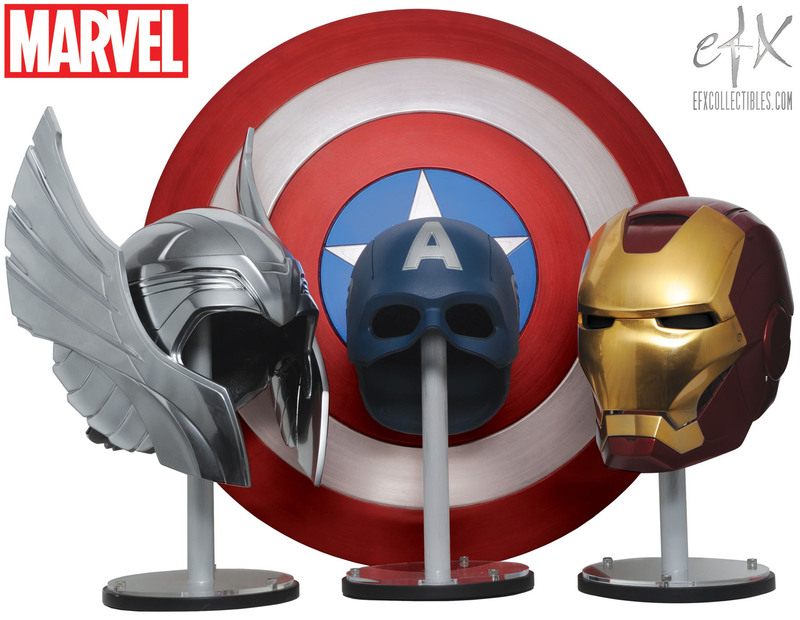 In addition to prop replicas and high-end collectibles, eFX will also offer a series of items inspired by Marvel characters and properties, which, like the replicas, will be available on its website at www.efxcollectibles.com and at select retail locations. Prices are expected range from $49 to $1,500 and more. They make really great items. I think they either bought out or merged with Master Replicas. It will be great to see what items have they in store for Marvel.